When it comes to picking an engagement ring, it’s usually all about the diamond. 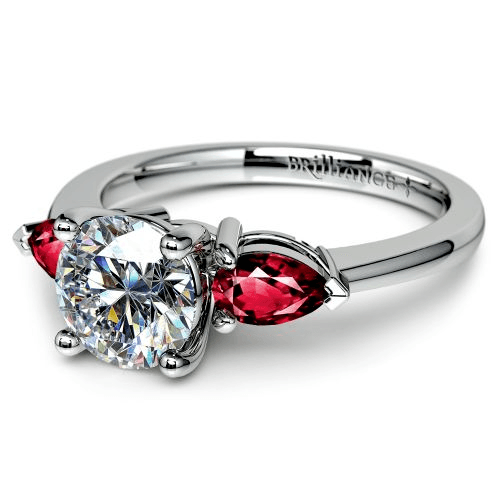 Girls “ooh” and “aah” over size and sparkle, but there are other ways to make sure your ring is a stand-out. Using colorful gems such as rubies, emeralds, sapphires, or even colored diamonds can add dimension to your engagement ring, or offer an artistic alternative to diamond-dominated rings. Engagement rings with color are bold, bright, and cheerfully elegant—and they tell the world that the wearer is just as creative and fun. You can use them as accent stones to highlight the sparkle of a white diamond center stone, or rock a gem as the main stone to buck tradition and show off a ring that’s as unique as you are! Here’s a few ideas for inspiration to help you find the pop of color that’s just right for you. For a sophisticated but more understated integration of color, choose a three-stone design with colored gemstones flanking a center diamond. 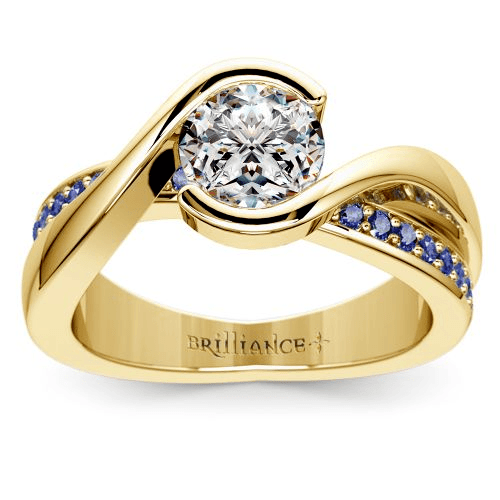 Not only is the symbolic meaning of the three-stone engagement ring deeply romantic, but depending on the color and cut of the gem, you can achieve a wide variety of looks. For brides-to-be who want to rock a little more “oomph” on their ring finger, halo engagement rings offer extra size and dazzle. By setting your halo with colored diamonds or gems, you can capture an even bolder, more regal look. 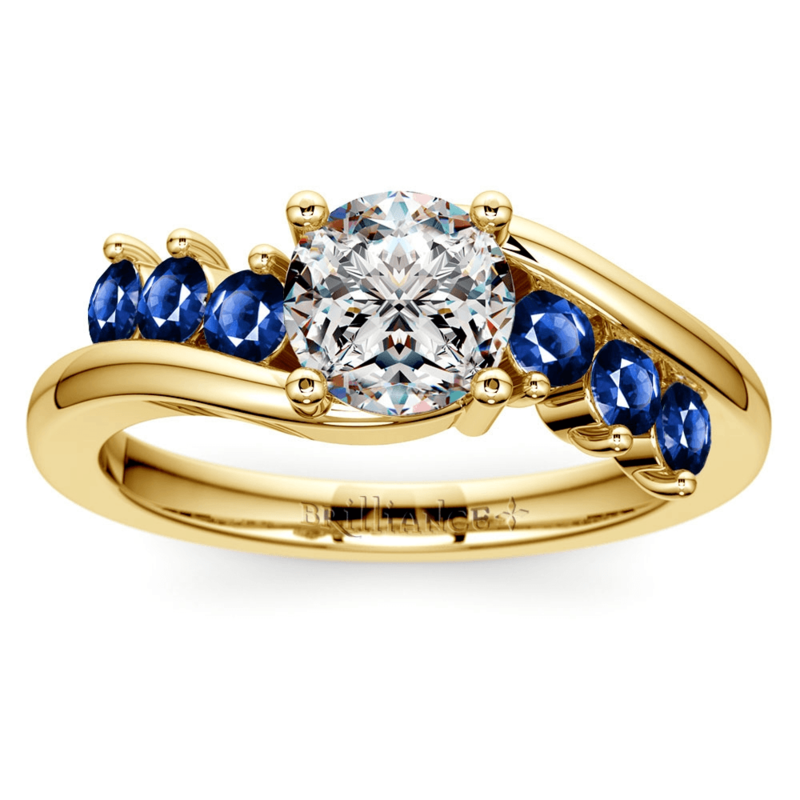 Sapphire halo engagement rings even have a royal history. 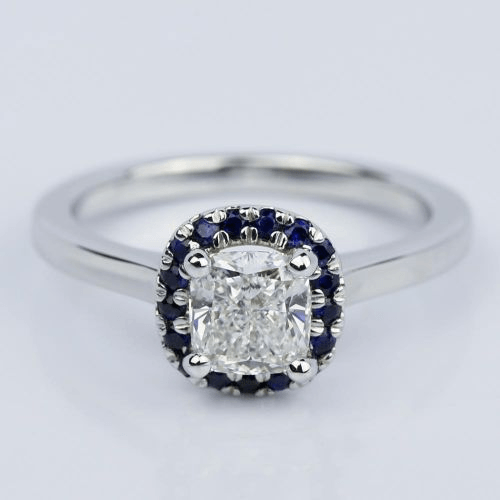 Princess Diana’s gorgeous sapphire engagement ring was originally controversial, but has become one of the most famous engagement rings of all time, brought back into the current limelight when Prince William proposed to Kate Middleton with the same ring in 2010. 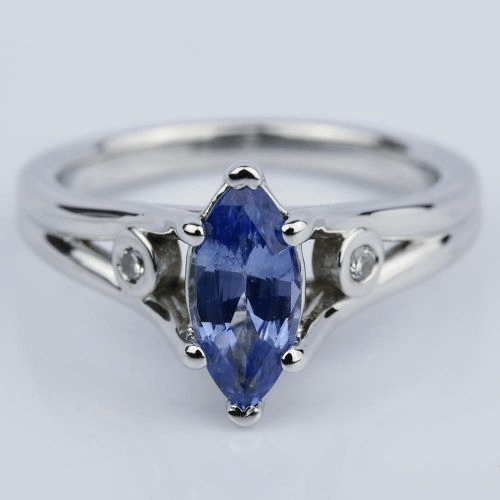 That elegant but untraditional ring featured a large sapphire stone surrounded by a halo of diamonds, but the reverse style is equally popular! Emerald gemstones are great for creative types – as well as anyone born in May! 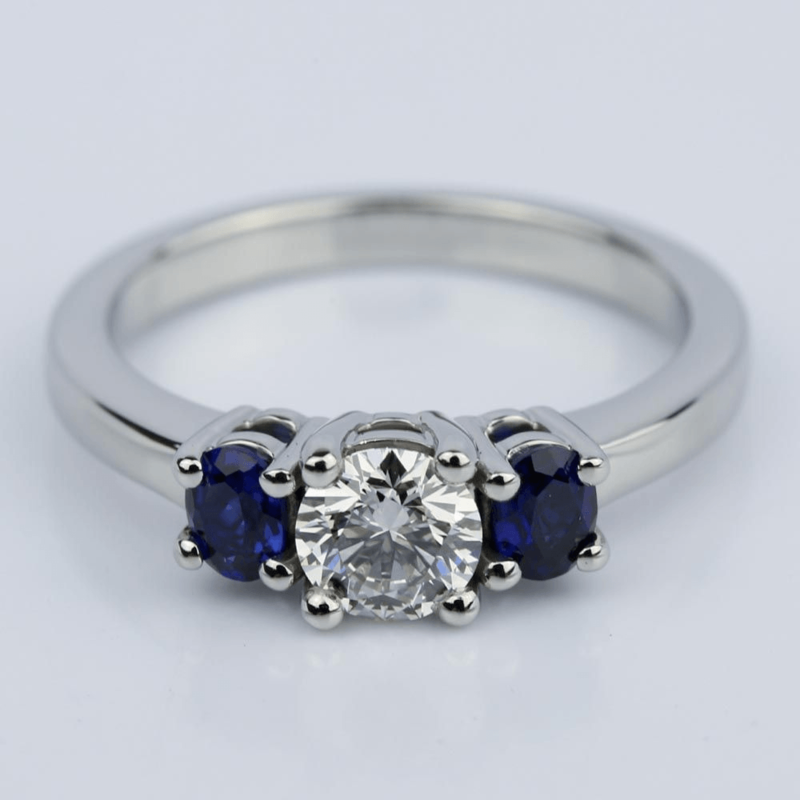 Adding the birthstone of you or your partner to your engagement ring is a great symbol of your connection and commitment to each other. Adding a delicate line of gemstones under the center stone adds depth to the ring, without distracting from the beautiful bezel-set diamond. Pave accents are also a great way to complement non-traditional diamond cuts. 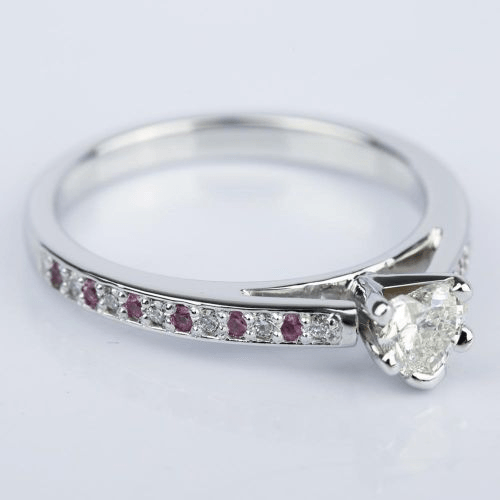 The heart-cut diamond is already a great choice for lovers, but the pink sapphire pave set gemstones offer a dainty, feminine flair to this custom engagement ring. Already have your engagement ring? Pave settings are also a very popular choice for wedding band, adding extra bling to your second ring! Rock a romantic ruby pave set, or get a unique color to match with your partner, like this black diamond ring for him with an alternating black and white diamond wedding ring for her. Want to be a trend-setter like Princess Diana? 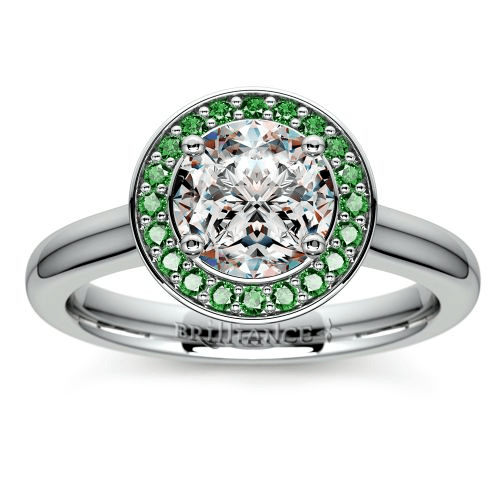 Then ditch the diamond center stone entirely, and go bold with a stone that bursts with color! 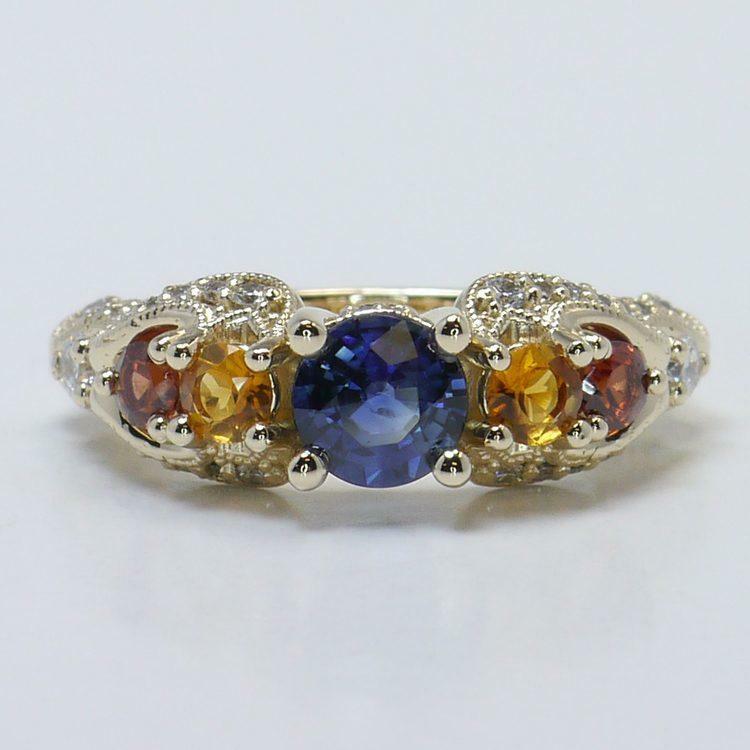 Sapphires, rubies, emeralds and amethyst all make stunning centerpieces for an engagement ring with color. Gemstones typically cost less than diamonds, so you can get an even larger center stone with budget-friendly beauty. Gemstone rings are also commonly used as “alternative” engagement rings when it comes to second weddings and vow renewals. They also make great promise rings, or anniversary gifts. …at the end of the day, engagement rings with color are an exceptional choice that will draw attention and admiration to your ring. And with Brilliance, it’s never been easier to achieve the look you desire! Which ring from our style guide inspired you the most? 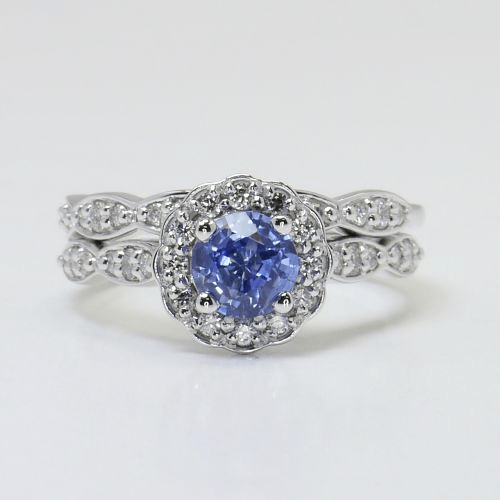 Would you want to show off a stunning sapphire solitaire, or sprinkle in multiple colors in a petite pave? 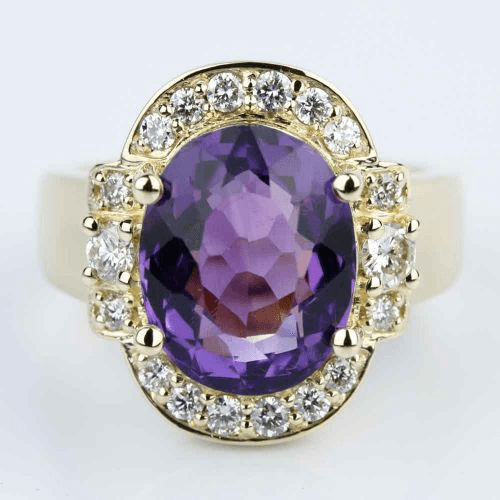 Take a look at our engagement rings with “Gemstone” Ring Style, as well as our gemstone rings for even more inspiration!